Sarasota County has a history of leadership on Electric Vehicles (EVs). 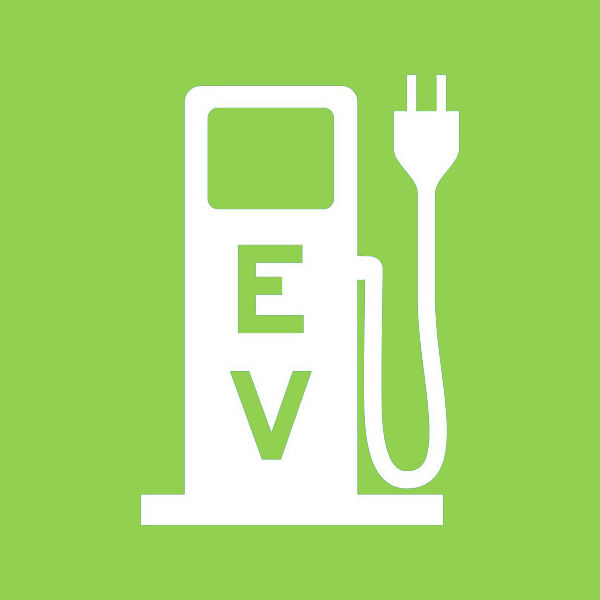 Recognizing the myriad potential benefits of EVs, the county has expressed support through resolutions, installation of charging stations and education pro grams since 2005. The county has invested in fuel-saving technologies its own vehicle fleet, including plug-in electric passenger cars and hybrid bucket trucks. 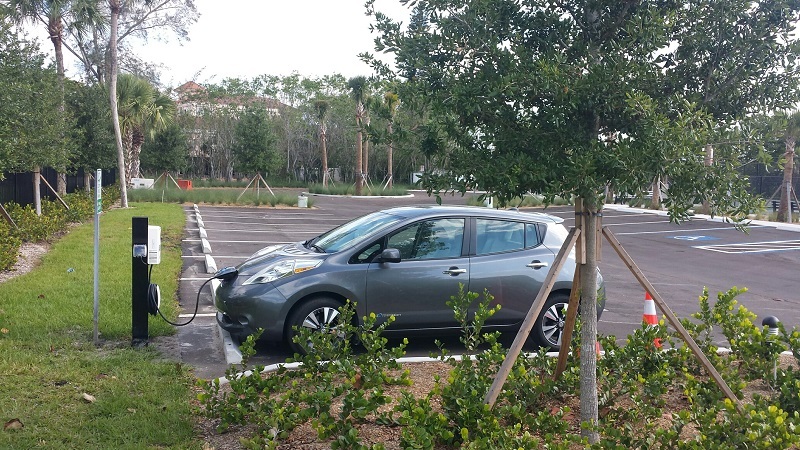 Sarasota County was the first local government in Florida to add EVs to its fleet and now is second in the state for number of privately owned EVs per capita. The county encourages support for EV technology by offering charging stations at county-owned locations, as well as through education and incentives. Non-profits or government organizations: 50 percent of cost, up to $4,000 maximum. Businesses: 25 percent of cost, up to $2,000 maximum. The application period is now open until the funds have been committed. So far, three locations have participated in the program, adding a total of 5 charging stations at locations across the county. 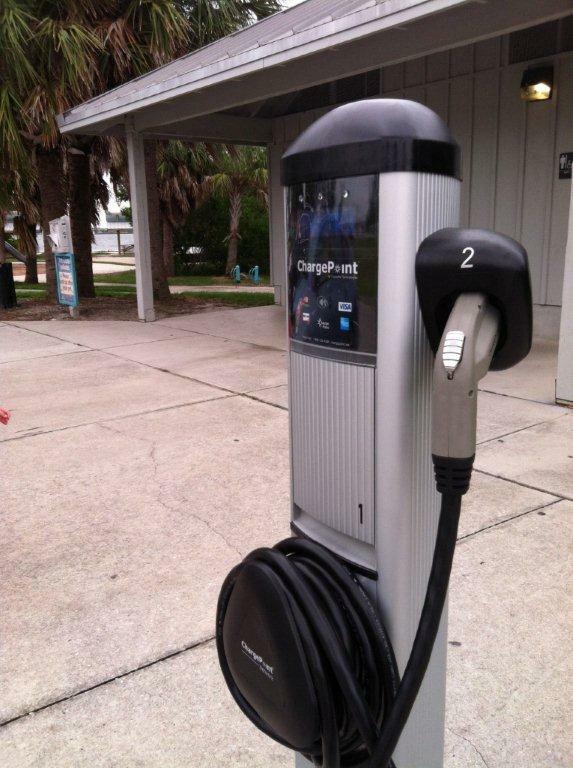 The new charging stations were installed at Bayfront Park in the Town of Longboat Key, New College of Florida, and Fogartyville Community Media and Arts center. Learn more about this program on our electric vehicle web page. 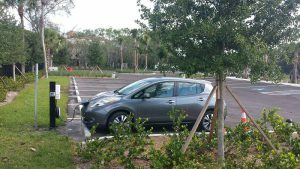 Sarasota County Sustainability offers free EV workshops throughout the year. These classes are for those interested in understanding EVs and the infrastructure that is supporting them. Discussions cover the basics of how the various types of EVs work, considerations for those interested in buying one, the charging infrastructure around Sarasota County, and the benefits they provide. Class registration is available at Eventbrite.com. If you would like to schedule an electric vehicle class for your group, please contact sustainablesarasota@scgov.net.